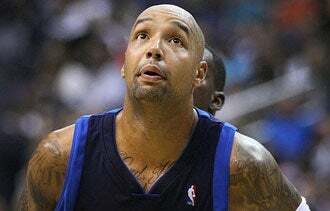 The ongoing NBA lockout may give players time to pursue other business opportunities, and Milwaukee Bucks forward Drew Gooden is wasting no time. The 30-year-old basketball pro has signed a multi-unit franchise agreement with Wingstop, a national hot-wings chain, with plans for opening four new restaurants in Orlando over the next few years. Gooden, who previously played for the Orlando Magic, and a partner, George Taylor III, have formed Zerocon Food Systems LLC and expect to open the venture’s first restaurant early next year, according to a release this week from the Texas-based chain. The NBA earlier this week canceled the first two weeks of its regular season, as a battle continues over how players and owners will divide the league's $4 billion in annual revenue. Dave Vernon, Wingstop’s vice president of franchise sales, says Gooden has shown “great enthusiasm for the brand and a strong head for business throughout the franchise process.” Taylor, he adds, is a “strong operational partner” who will help ensure the restaurants’ success in Orlando. “There’s a huge market of wing eaters in Orlando and I just want to provide them with the best product out there, hands down,” says Gooden, who has adopted Orlando as his hometown. Gooden follows a long line of other sports figures and entertainers, including former Los Angeles Lakers star Magic Johnson, who have invested in franchises. Wingstop has more than 485 restaurants in the United States and Mexico. Hip-hop artist Rick Ross recently opened his first Wingstop in Memphis and Troy Aikman, the Fox Sports analyst and former Dallas Cowboys quarterback, sits on the company’s board.